Wanderer – Echoes of the Past is now just 99 cents on kindle (down from $2.99) or 99 pence if you are in the UK. This deal will only last for a week so grab it while you can. 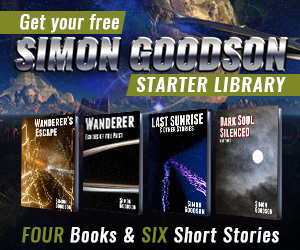 And remember that Wanderer’s Escape is always just 99 cents so you can pick up both action packed books for under $2. Already own (and love) them? Then please spread the word. Tell your friends this is too good a deal to miss!